Michael Birungi’s ban has been reduced by the FUFA Disciplinary Committee from four games to two games after a successful appeal was made by the club. 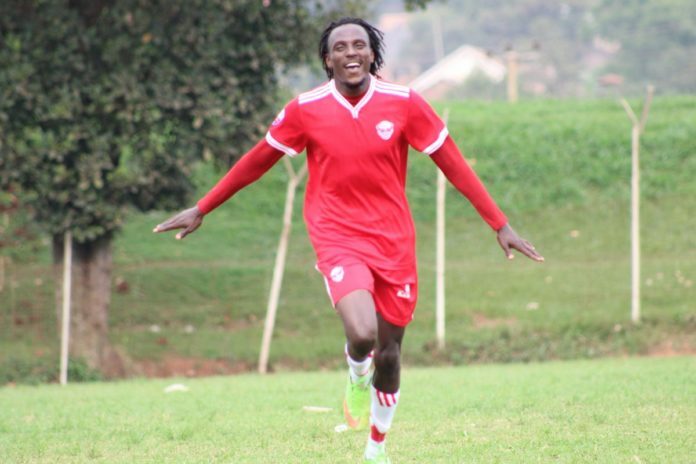 The Red Eagles captain was earlier handed a four-match ban for his unsporting conduct towards the match officials in their 1-0 loss away to Tooro United in Buhinga. Birungi was believed to have attacked referee Alex Muhabi after the match because he awarded a penalty to Tooro during the final moments of the game on 29th January 2019. “The FUFA Disciplinary Committee has reduced Michael Birungi’s ban from 4 games to 2 games. “This comes after a successful appeal against it by the club and the player not having a known adverse disciplinary record according to the panel. “The assistant captain who missed the game against BUL on Sunday will miss one more game against Nyamityobora on Wednesday and will be available in the next game on Monday 18th against his former side Police in the Uganda Cup round of 16 at Wankulukuku. “This is welcome news for the club having only one fit striker Brian Umony.” Express FC confirmed on their website. Birungi had already missed one game, against BUL on Sunday and will miss one more game against Nyamityobora on Wednesday in the StarTimes Uganda Premier League.